The goal of Knowing God and Ourselves is to help students, especially beginning students, of Calvin’s Institutes of the Christian Religion to better understand what they are reading and to encourage them to persist in working through this important but challenging book. Calvin intended the Institutes to be a guide in reading Scripture and a theological companion to his commentaries. Above all, he wanted his readers to respond to biblical truth with love for God and obedient lives. The subtitle of this book is Reading Calvin’s Institutes Devotionally. Reading the Institutes devotionally is not merely one way of reading Calvin’s book. It is the only way to read it. The sections in the Institutes to be read with each chapter of this book are clearly indicated. The reading assignments are from the McNeill-Battles edition of the 1559 Institutes; but if one prefers to use the briefer but ample 1541 French edition of the Institutes, translated by Robert White (and also published by the Banner of Truth Trust), the relevant chapter and page numbers for that edition have also been added to the ‘Read’ section at the head of each chapter in this guide. ‘By nature I love brevity’, Calvin wrote. 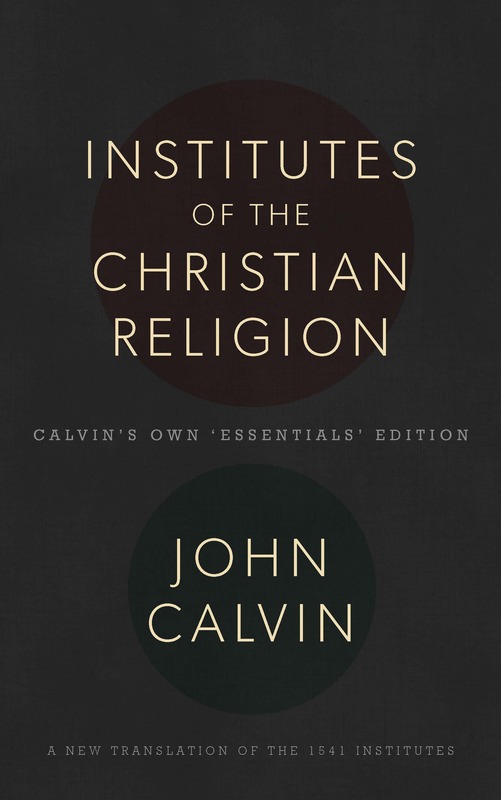 The length of the Institutes may not seem to justify Calvin’s claim, but compared with many theologies, past and present, Calvin’s book is remarkable for its lucid brevity. David Calhoun has sought to follow Calvin’s advice in Knowing God and Ourselves. It is a short and lucid guide to Calvin’s Institutes, which, in turn, is a guide to the Bible. I am not known for being a risk taker. In fact, I am very sedentary. Heights for me pertains to bookshelves. Adventure usually means drinking a third cup of coffee. Camping and canoeing were once high on my agenda, but they have been replaced by less challenging events like napping and reclining. I do most of my risk taking with books. I really ought to stay on the lower, more level grounds, but I am all to prone to reach out, up, over, and beyond what I am able to take in. When I can, I understand. When I cannot understand, I seek to appreciate. Sometimes, it helps when there are guides and support along the way, but I still stray outside my mental comfort zone. My recent morning readings have included two really useful books, but two books that are not quick, simple, or easily mastered works. One is the book Knowing God and Ourselves and the other is a work by Gerhardus Vos. Reading often is best done when the right book meets the right set up. For example, many books are great for easy chair reading. Some are just right to tag along on trips to have handy for short snatches while waiting in line or sitting in a car while the wife runs into the grocery store to pick up a few things (meaning at least one full grocery cart full of stuff). Other books are just right for reading in bed at night. Nothing clears my mind of school related problems like a good spy and espionage novel. Whenever Gabriel Allon or Mitch Rapp plug a few holes in a terrorist who has been threatening Israel or America, I can relax and get ready to sleep. Many biographies and histories are great for bedtime reading. Now, to Knowing God and Ourselves by David Calhoun, published by Banner of Truth. Over the past years, I have read several books by David Calhoun. His two volume history of Princeton Theological Seminary, also published by Banner of Truth, is a great read on the history of theology in America. It could have been said, “As Princeton goes, so goes the nation.” The story of Princeton as a theological bastion and then battleground is well told in these two moving volumes. Calhoun told a similar, but much shorter story in his book Our Southern Zion: Old Columbia Seminary. 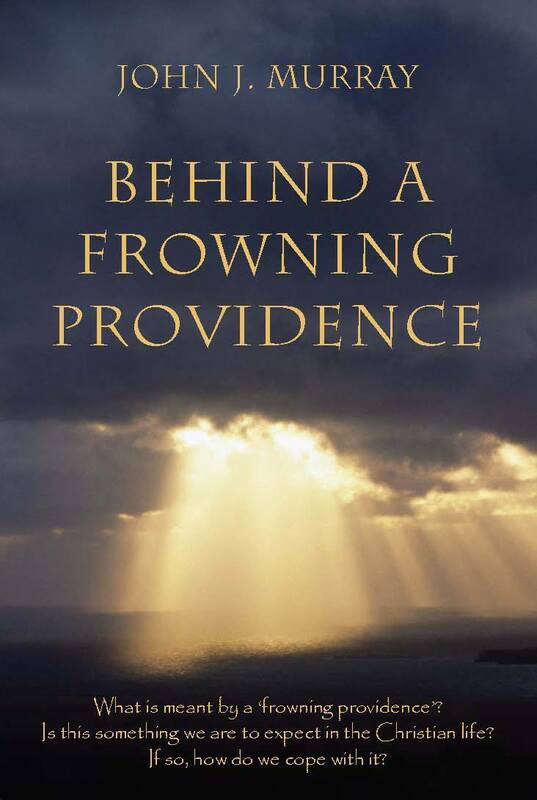 This Banner book recounts the ups and downs of Southern Presbyterianism as found in Columbia. I did not recognize as many names, but still enjoyed this contribution to our theological heritage. A book that Calhoun edited and wrote part of is Pleading for a Reformation Vision: The Life and Selected Writings of William Childs Robinson. Robinson was a professor at Columbia and a Reformed scholar and author during the 20th century. Knowing God and Ourselves is a completely different type of work from the historical and biographical writings of Calhoun. Now a professor emeritus of church history from Covenant Theological Seminary, he continues to write and share his wisdom during his remaining years. This book grew out of courses he taught on John Calvin and his Institutes of the Christian Religion. Note that the subtitle of this book is Reading Calvin’s Institutes Devotionally. That in itself contains several key features. We ought to be reading Calvin’s Institutes. Yes, I am referring to those of us who are often called Calvinists (either as a compliment or an insult–I take the first). We don’t need to read Calvin to shore up our arguments on the 5 Points of Calvinism (which are not easily found in the index or table of contents of his works). We don’t need to read Calvin in order to be a tribe of Calvin-bots who go around citing him like little Chinese kids use to do with the writings of Chairman Mao. Instead, we need to read Calvin because his Institutes were written to devotionally and intellectually grow God’s people. He intended his work of “concise brevity” to be a handbook to help new, young, eager Christians to get acclimated to the things of God. “Dry, dusty theology” (a phrase I detest) and Calvin’s Institutes have no point of contact. Nor is his work a field guide for the seminary level graduate student preparing for a lifetime of being a seminary level Christian. Calvin was writing a book for street Christians, for regular Joe’s who sit in the pews, and for struggling pastors who labor over open Bibles. Right now, I am reading the book from cover to cover. The chapters and topics are easily read. The quotes from others are rich. Each portion begins with a quote from Calvin himself, another quote from a Calvin scholar or student, a specific reading assignment from The Institutes. And that is followed by a pertinent Scripture text, a defining quote from the reading assignment, and a prayer from one of Calvin’s many writings. Whether it is this coming summer or next fall, I hope to begin my second use of this book. At that time, I will be at the table with the Bible, pen, paper, and The Institutes. I will be using yet another great Banner work, the new translation of the 1541 Institutes. Concerning John Calvin. First of all, Calvin was the last person who would have wanted a whole movement to be named after him. Second, he didn’t devise the handy-dandy TULIP or 5 Point Summary of Salvation. Third, he was not a Johnny Calvin-One Note who found predestination and election in every verse. He wrote a simple Bible study guide for young believers. Keep in mind, he was given the gift of teaching and writing, and he was compelled by circumstances to teach, speak, preach, or write to fellow believers about doctrines of the Bible. Throughout his ministry, much of his work was focused on verse by verse teaching of the Bible. From those lectures, sermons, and writings, we have a huge corpus called Calvin’s Commentaries along with collections of sermons that are still be translated into English. My favorite translation is the Banner of Truth edition. Called “Calvin’s Own ‘Essentials’ Edition, this beautiful volume was translated by Robert White and was made from the French edition in 1541. This book is 842 pages and is hard bound with the quality that Banner of Truth fans know quite well. Although Calvin’s Institutes, taken as a whole, is a massive work, it can be read as a series of shorter books. Overall, it follows the outline of the Apostles’ Creed. The book is surprisingly readable and understandable. Calvin was writing to his congregations and readers; he was not writing for a theological text for theological academics (not that they cannot read it profitably as well). 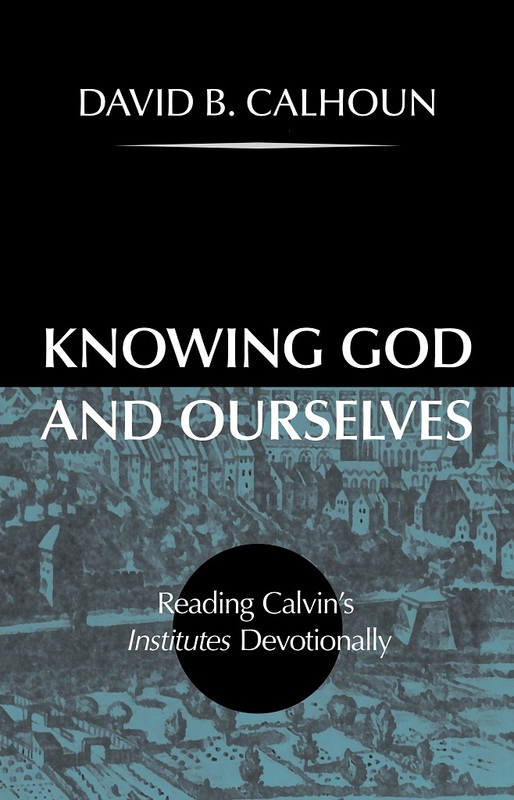 Knowing God and Ourselves: Reading Calvin’s Institutes Devotionally by David B. Calhoun is a recent publication by Banner of Truth. How can I say this without exaggerating? Here goes: This is a great book. It ministers to mind and soul. It guides the reader through the main headings of Calvin’s Institutes while giving delightful quotes from other Calvin scholars and writers, supplying Bible verses, and heart-directed comments. While designed as a book to accompany the reading of the Institutes, it can be read as a stand alone volume. Whether the readers is looking for history, biography, theology, Bible teachings, and key topics regarding Calvin’s theology, it is here. Notice the key words in the subtitle: Reading Calvin’s Institutes Devotionally. Calvin’s mission statement on life was having a heart centered, empowered, propelled, and driven by a love for God. His key objection to the many theological enemies of his time was that they were not Christ-centered. Church work was all about making people believe, trust, love, and obey Jesus more and more. Quite frankly, Calvin often reads more like a pietistic mystic than like a Calvinist. He is like the praise and worship part of modern worship services, except that instead of loud amplified music and repeated (too many times) choruses, there is strong theological, Biblical truth. His writings are Christ-centered and Christ-consumed. And along with, before, or after reading Calvin, read Knowing God and Ourselves.